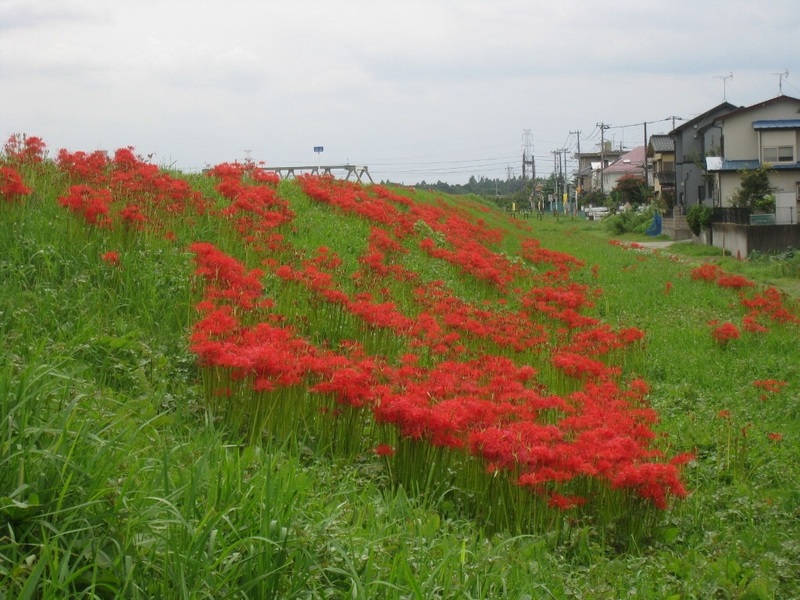 There is many red spider lilies in my hometown on this season. Are there same flowers in the U.S.? This flower is called 'Higanbana' , but it has around 1000 other names in Japan. For example 'dead flower ' ' hell flower ' ' thunder flower '.... There are many unlucky names. But another example 'fox's torch'. It seems nice. The flower made people think a lot of its names. What do you want to call this flower? This is a photo my mom sent me.